No joke. I absolutely took this set to the mountains and cleansed my face in the icy cold streams. I'm guilty of a few skin faux pas. Among them sleeping in my makeup when I'm on the road (and home!) and stripping my sensitive skin with harsh scrubs to combat all the changes my skin undergoes in new environments. Spring is especially hard thanks to pollen and my ongoing battle with the Southern weather. My skin has yet to look better than it did when I lived in South Korea. I suspect it was the natural products and chemical free face care. I must own about 10 different lines of expensive washes and scrubs to find something that works. 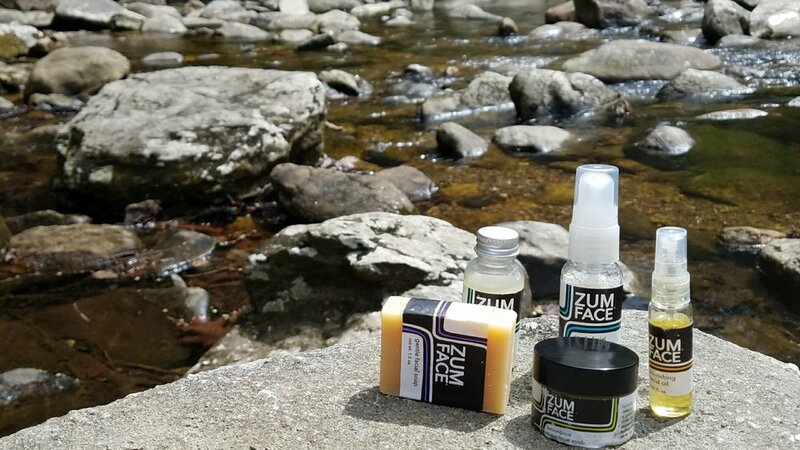 As in life, it turns out simpler is better so when I came across Zum Face on Instagram, I dropped a few hearts and asked if the products were as "gentle" everyone always claims theirs to be. You know the type. No joke. I absolutely took this set to the mountains and cleansed my face in the icy cold streams. Andrea at Indigowild was really kind about answering my questions, guaranteeing it would be gentle and make your skin feel softer than a baby's behind (my words, not hers)and offered to send me the travel kit to test out. Basically daring me not to fall in love. So now I have to take out a small business loan to fill my house with this stuff. Oh, the price of beauty. 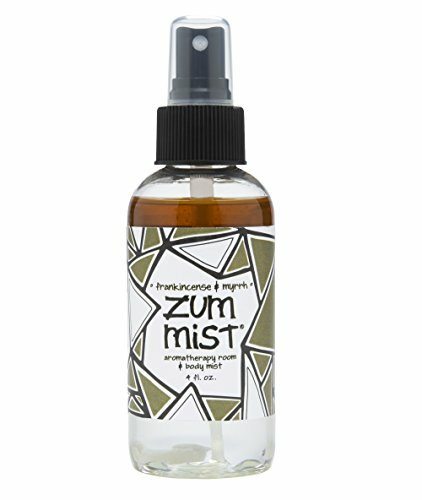 Zum Face is a product line from the nature buffs at Indigo Wild. ALL Zum Products are made in the U.S.A. Cruelty Free- NO Zum Products are tested on animals. Vegetarian - ALL Zum products are vegetarian. Vegan- ALL Zum products are vegan except Zum Bars (goat's milk), Zum Kisses (honey) and Zum Rub (goat's milk). Gluten free - ALL Zum products are gluten free except Zum Body lotions (oat bran extract) and Oatmeal-Lavender Zum Bar (oatmeal). Sounds pretty good, right? And you can actually pronounce the ingredients! First impressions: The instant I opened the box, the sweet aromatherapy scent smacked me in the face. Citrusy and fresh like lemongrass.I guess you could say it smells "Zummy." ( Don't groan, that was Punny!) I was super excited as I sifted through a pound of packing peanuts. Turns out I should have open it from the bottom. I was plesantly surprises to find the travel kit was actually travel sized, a full beauty regime and small enough to fit in the pocket of my carryon. I'm already working with limited space so +1 Zumface. What I Love: The tiny bottles bear the distinct product label and scraps the bells and whistle. There are no artificial colors, no blue gels to stain my clothes should they open, and all the scents are naturally fragrant. As someone with awful allergies, I hate nothing more than being the source of my trouble. The Zum Gentle Face Cleanser takes the makeup off. Without stripping my skin. Which is a huge problem in a temperate climate. It gets so muggy outside the find yourself scrubbing multiple times a day to get the pollen and humidity off. At first, I was a little put off that it doesn't foam, but in my experience products without additives usually don't. I've just been conditioned to expect it. A little goes a long way, so don't glob it on. 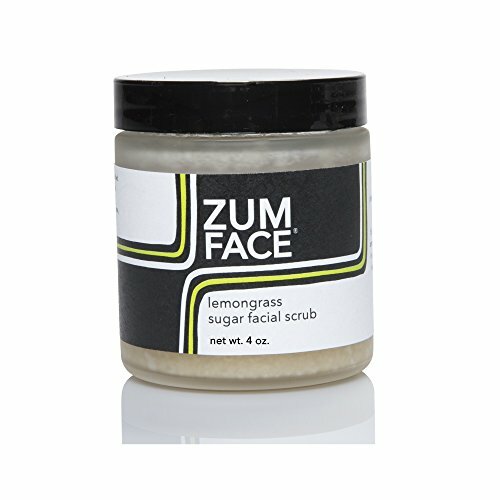 The Zum Lemongrass Face Scrub really is gentle enough to use every day. I've been burned before but this claim holds true. And it tastes good. I know this because I used it to scrub away the dry skin from my lips. The travel scrub has the least amount of product per container so use it sparingly unless you buy the larger version to replace it. The Zum Lemongrass Gentle Face Toner. Do not get this in your eyes. It's strong enough to clean your pores but contains lemongrass which is basically lemons. It does a great job of being refreshing but put it on a cotton ball. Don't try to free hand it or rub too much on your face. The Zum Lemongrass Nourishing Facial Oil surprised me because I always cringe at the thought of point oil on my face. I've been suffering from patch dry skin due to weather changes, over washing and drying, damaging scrubs. As a result, my makeup has looked grotesque. My Sephora bestie Megan said it was because my skin wasn't properly moisturized. I took a chance and it totally has my skin glow. One drop is enough, don't get crazy. The Facial Soap bar is a solid extension of the face wash and more lathery, if you need that. It's also what I used to wash my face in the mountain water. The best. If you want to get me something special for being your favorite blogger, I'll accept these candles or this Frankincense & Mryyh bag. Has anyone tried Zumface? What are your thoughts? Where to find it: Harris Teeter, Amazon.com and here on the website.